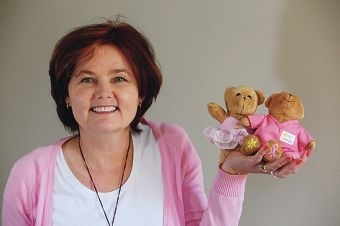 The Marangaroo mother-of-three said the October campaign was about supporting women and their families with breast cancer and those with gynaecological cancers. ‘Four months before I was diagnosed with ovarian cancer I had ignored all the symptoms, heartburn, bloating ” as most people do,’ she said. Michele also found great comfort after joining a support group through Ovarian Cancer Australia in partnership with Cancer Council WA and sharing her experience with others. ‘Until you talk to other women you don’t know they’re going through the same experiences,’ she said. Help fund research, prevention care and support groups by buying from the Cancer Council’s Pink Ribbon range.